Come see how we fly at Zaccho! We are thrilled to present our first student showcase In Mystery Blue. 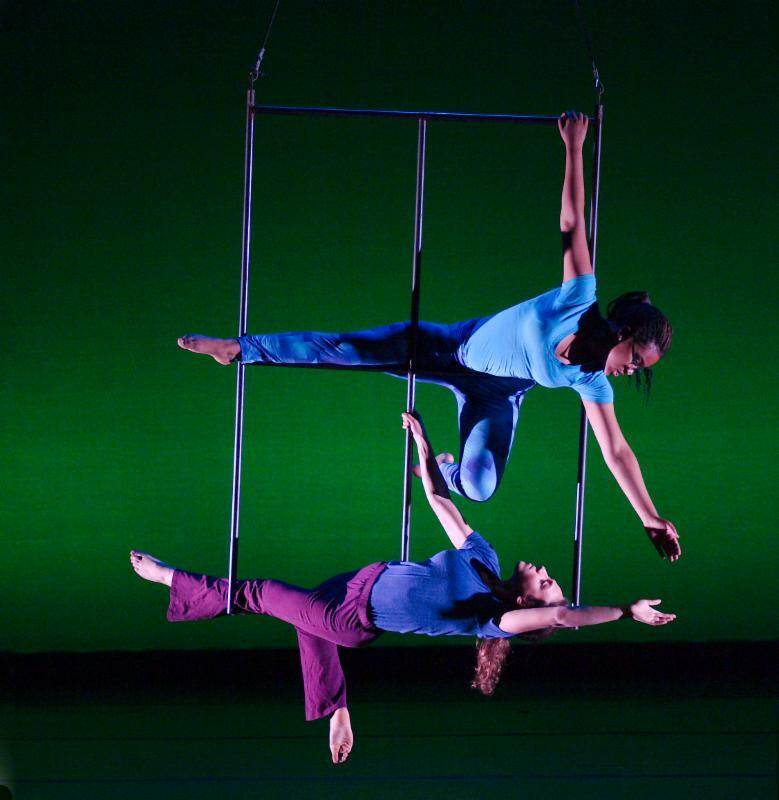 The Center for Dance and Aerial Arts along with the Zaccho Youth Company are taking the stage to present their original work to family, friends and fellow students. In March, Joanna Haigood collaborated with Alexander Nichols on an exciting new dance video, commissioned by American Conservatory Theater (ACT) for the new Strand Theater on Market Street. The video shoot included a green screen and vintage A.C.T. costuming with brilliant performances by Zaccho Dance Theatre on the ground and in the air. Keep an eye out for the grand opening of The Strand next month to spot Joanna Haigood and her cast on the silver screen! We were thrilled to host a rehearsal for the brilliant Peaches Christ and her cast at Zaccho Studio. 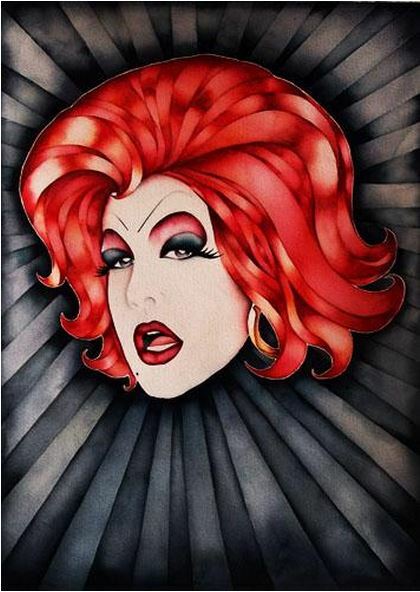 Peaches Christ is an American underground drag performer, emcee, filmmaker, and actor. Peaches currently resides in San Francisco where her Backlash Production Company and Midnight Mass movie series are based. Her Midnight Mass road-show and Short Film Retrospective have been on tour and appeared in Seattle, Berkeley, New York City, Brussels, Belgium and Lausanne, Switzerland. RAWdance as Zaccho's spring Resident Company! 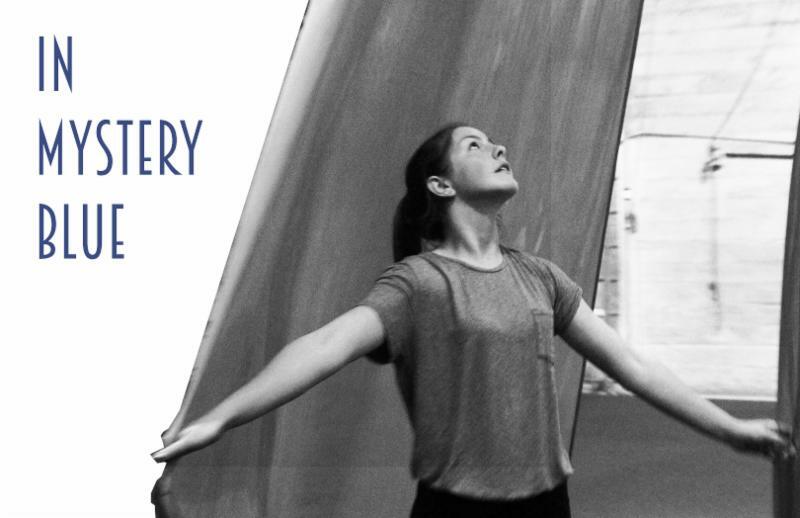 During their residency period, RAWdance Co-Artistic Directors, Ryan T. Smith and Wendy Rein in collaboration with Scenic Designer Sean Riley and Composer Joel St. Julien will create their newest site-specific work commissioned by the Yerba Buena Gardens Festival. This dance will draw inspiration not just from the architecture of the Gardens, but also from the layers beneath the feet of the dancers and audiences. The landscape brings up questions that are intensely personal and emotional as well as geographic. What happens when the ground beneath your feet is not what you think it is? Where does the surface end and the foundation begin? Do we follow the clearly constructed paths designed for us, or invent our own? In their own words, "Our primary interest in Zaccho's residency program is to establish a home for the creation of a new work for the Yerba Buena Gardens Festival in July. Being able to create the work at Zaccho would have an unquestionably positive impact on the work; A consistent home for rehearsals, space to work with and store sets, and a studio large enough to create work on the scale of the performance site.We are also interested in connecting to a different community. Our hope is that working at Zaccho would offer more than just space, but also the opportunity to interact with other artists, and reach out to the surrounding audience through an open rehearsal."